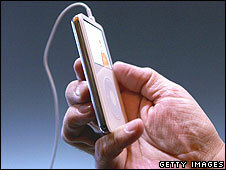 Oxford and Cambridge University are to make lectures by leading academics available through iTunes. Cambridge says it will bring the work of its Nobel prize-winning academics in reach of a much wider public. Oxford University says it will publish 150 hours of video and audio material of lectures and ideas from "world-leading thinkers". These are the latest UK universities to provide free education content through the online downloading software. A spokeswoman for Cambridge University says the idea is to "lift the veil" on the university, using iTunes to put lectures and talks from its experts into the public domain. The material will include historian David Starkey, music from St John's College choir and physicists who will "strip down science to the basics". Oxford University will use its iTunes output to "showcase our research and enable the public to hear from world-leading thinkers on topical issues". Among the contributions will be Joseph Stiglitz, former chief economist of the World Bank, discussing the global financial crisis and Craig Venter on genomics. It will also provide background information about the university for anyone considering applying to be a student. A growing number of universities in the UK have set up downloading services within the iTunes U education area - including University College London and the Open University. It allows universities to create a library of lectures which can be played back using computers or iPods. Cambridge already puts material online, but the university says this will be the first time it will be organised into one place, allowing people to "search through the entire catalogue".